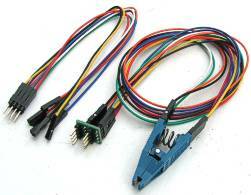 This testclip set comes with a high quality Pomona 5250 SOIC8 testclip. 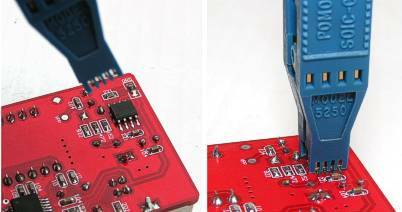 It has much better contact with on board SOIC chip.It provides a connection between an on-board surface mount device SOIC8 IC and programmer. So that to program the chip on board. The cable length is adjustable amount 40cm and 60cm with the included extension cable. It can be any lenth with extra extension cable.It also can be used for any other onboard test, data log and measurement etc.